To participate in the RICE loyalty program, you will need to create a customer account at Vibrant Home. 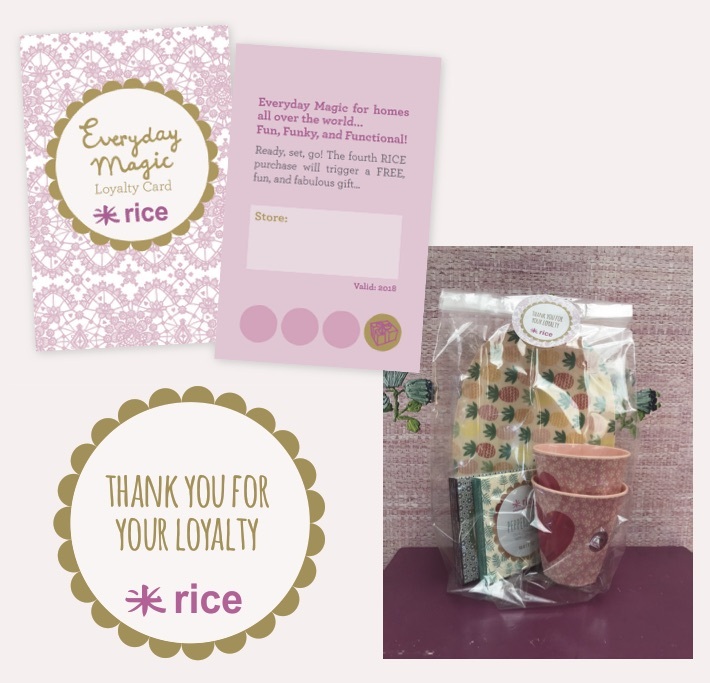 You will earn a loyalty point for each order at Vibrant Home which includes one or more RICE products worth a minimum total of £10. On your 4th such order we will send you a “Free Gift” with that order.